After Italian sea rescues of almost 72,000 immigrants and its hosting of over 109,000 so far this year, at a cost of almost $12 million a month, the European Union is finally listening to Italy’s pleas for its humanitarian mission to be shared. An agreement, reached in Brussels this week between Interior Minister Angelino Alfano and EU Internal Affairs Commissioner Cecilia Malmstroem, calls for Italy’s lone-wolf rescue operation to be replaced by a shared EU project to be called “Frontex Plus.” The proposal is a break-through, but not all will be smooth sailing. 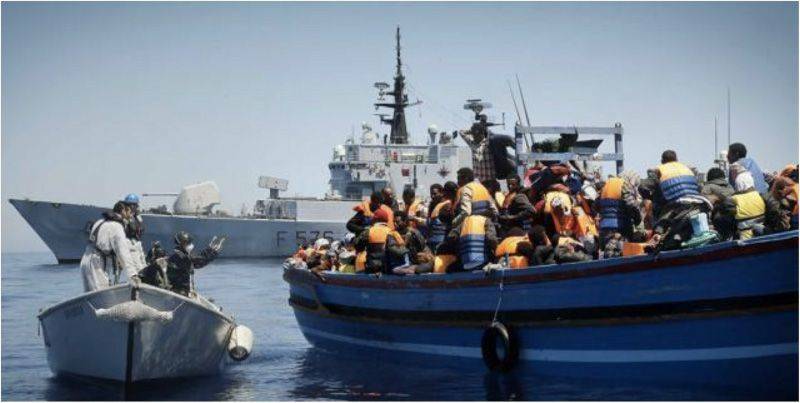 ROME – After Italian sea rescues of almost 72,000 people and its hosting of over 109,000 immigrants so far this year, the European Union is finally listening to Italy’s pleas for its humanitarian mission to be shared. Last October 3, when 366 migrants drowned in the Mediterranean, Italy launched an operation called “Mare Nostrum” (Our Sea), which permitted the Italian military and police to go beyond the Italian territorial waters in order to help the immigrants crammed aboard rickety boats on the verge of sinking. The operation involved a considerable number of ships for rescue and patrol, two of them equipped with helicopters, plus two long-range helicopters; several airplanes including a drone; and a hospital, at a cost of almost $12 million a month. This week’s agreement, negotiated in Brussels between Italy’s Interior Minister Angelino Alfano and the EU Commissioner for Internal Affairs Cecilia Malmstroem, calls for Italy’s go-it-alone rescue mission to be replaced within months by a shared EU project to be called “Frontex Plus.” As Malmstroem acknowledged, Italy has `’worked immensely to save thousands of people [but] it is an effort that Italy cannot conduct entirely on its own.” An editorial in La Stampa hailed the beginning of a broader agreement “a little miracle.” Frontex itself already exists but spends as only as much in one year as Italy spends in a single month. Some critics of Italy’s Mare Nostrum project have maintained that its very existence encourages the clandestine traffickers to hustle ever more immigrants into the Mediterranean, on grounds that they know the Italian government will lend a helping hand. The counter-argument is that the surge in their numbers is due to the traumatic situations in Syria, Eritrea, Somalia, Gaza and Libya itself, which also happens to be the main transit point for those escaping troubles in sub-Sahara Africa. The newer statistics tend to prove the point: whereas only a few years ago the immigrants were primarily men seeking work, today they are entire families from war-torn zones. On August 27, for example, the 449 immigrants who landed at Pozzallo, near Raguso in Sicily, originated in Syria, Gaza and Egypt. Almost half were women and children; they included 81 women (three of whom pregnant, another diabetic) plus 133 children, one of whom was clutching a small white cat. Two of the men taken aboard had been injured. In the meantime 100 Palestinians fleeing from Gaza plus 300 other immigrants had been taken aboard a British ship 90 miles South of Crete on August 24. They too were brought to Pozzalla, meaning that altogether in the last week some 1,265 live immigrants plus 18 dead were delivered into the Sicilian port. What will the new agreement with the EU mean? For the moment, fellow EU countries are yet to be formally asked just how they can and will contribute. Mare Nostrum would continue in a reduced form, but the present plan is for EU ships not to be allowed to go beyond their nation’s territorial miles for rescues; if a craft is sinking beyond the usually accepted 12 territorial miles, other ships in the vicinity would be notified, but EU ships would not take action until inside its waters. Another tentative provision is for the destruction of the traffickers’ boats (amazingly, this is not yet the case although some traffickers have been arrested by Italian police). Another question under discussion is what action can be taken in now war-torn Libya. Is there a way to bring a halt to the wave of immigration? It may be that the truce in Gaza will help, but there is no lack of wars elsewhere, beginning in Syria. The challenge remains immense—and growing.